Andros Island is the largest and least-explored island in The Bahamas. Successful Restuarant/Bar/Karaoke/Disco -Live Your Dream! Rent Local or Sell Successful Business, tri-level with excellent location, several ambientes, high level of traffic, ideal access for bar and/or restaurant, dance floor with sound system and lighting, wide open spaces for plenty of tables (included), completely roofed, office with full bath and shower (Small 't pay rent! THE BUILDING IS NOT INCLUDED IN THE SALE"
NAME EL TERCER OJO A PATENTED TRADE NAME IS INCLUDED IN THE SALE"
Elegant 80 seat restaurant, completely remodelled in 2004. All furnishing included, (excludes custom painting by Arturo Comegna). Kitchen is newly remodelled as well and is very functional, complete with walk in Fridges, freezers, dish washing system, and glassware, etc. Modern waterfront restaurant located at the entrance of Stanley Park on Coal Harbour, Vancouver,BC Canada. 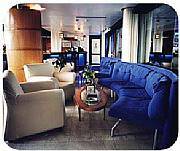 Open glass and marble architecture, Covered heated patio over looking Coal Habour marina. Over $750,000 of equipment and fixtures. Teak and Mahogany furniture, designer crockery and granit finishing. Building only 2 years old. The Pink Cadillac Night Club and Sports Bar, located on the Strip in the El Mirador area, is noted as the most popular hot spot for night life in Puerto Penasco. During the day the Sports bar is alive with all your favorite sporting events, televised on nine 27" television's and one Big Screen, as well as your favorite bar games like pool and darts. It is located on 10 Av. in front of Plaza Pelicanos. It is designed to be fast food place( snack bar) and to be a bar(sell alcohol) have license to sell liquor. if the new owner doesen't like the business model. The commercial space is 30sq.m. This is a turn key business. We have been operating this for 13yrs. It is the #1 Night Club in town. We are located in Puerto Penasco,Mexico. Also know as Rocky Point. One of the fastest growing tourists towns in the world. We are 70 miles South of the United States Arizona boarder. Approx. 220 miles South of Phoenix, Arizona. Established restaurant and bar in the very heart of the capital business center, this long-term rental opportunity includes all equipment and furniture, and is ready for the investor to just walk in and start running! The restaurant accomodates about 50 seats, some of the furnishings and equipment are unique and hold a historic value. Fabulous Restaurant On Beautiful Ios -1st To See Will Buy! First line Restaurant/Bar in Paseo Maritimo in Ibiza. With seating for 70, reformed 2 years ago and with all licences in order. There is a large teak decked terrace and the Restaurant comes fully furnished and equipped. Bar - Restaurant In The Centre Of Sitges, Traspaso. Recently refurbished taps bar for traspaso in the centre of Sitges. This is only metres from Cap de la Vila. The monthly rent is 1300, very low for this location. There is an 'English' style bar and seating for 26 people at tables. Currently serving drinks, Tapas and daily specials. This pub is currently working everyday during the evenings. It is very spacious (180sqm) and ideally distributed with a nice large salon in the back. This bar is located in Barcelona's Eixample district, very close to Plaza Universitat. Currently operating evenings as owner's don't have more time to dedicate to it. The business has potential to be opened during the day as well. Tables and beach chairs on the beach for dinning and relaxing. Tables and bar inside also. The building is newly renovated and in one of the most beautiful beach locations on the Island. Truly a piece of paradise. This is REALLY the most attractive beach restaurant in Lamai. Sub Shop/Restaurant For Sale in Delray Beach, Florida USASub Shop 4 Sale! Hot Historical Area! Turn-key Shop 4 Sale!Asking Price: $61,500 USD Motivated Seller!!! Make Offer! Great Business Opportunity! Shop/Restaurant located in historic, downtown Delray Beach ("On the Ave."). Great location, a few blocks from the beach, Delray Tennis Center, and the brand new Delray Beach Library. A major Bar and Restaurant in the aggressively expanding Caribbean town of Bocas del Toro. Fully equipped Bar building,with kitchen,prep room,and small 1 bedroomed apartment. New, fast growing, Cuban based-Nuevo Latino Restaurant in South Florida. This is going to be the next trend. Have to relocate out of state due to family issues so we must sell this beautiful, successful restaurant. Perfect husband and wife operation, which is what we do now but not a must. Over $100,000.00 in paid-off equipment alone. Great Build out and decor. The Best Business/Living Opportunity In Costa Rica Ever!!! EMERGENCY SALE DUE TO FAMILY HEALTH ISSUE! PRICE LOWERED AGAIN! I TRULY HAVE AN EMERGENCY THAT CANNOT BE PROLONGED ANY FURTHER. DO NOT MISS OUT ON THE BEST OPPORTUNITY IN COSTA RICA EVER!! SERIOUS PEOPLE ONLY PLEASE! IF JUST DREAMING, PLEASE DO NOT INQUIRE! DREAM AWAY WITHOUT TAKING UP NEITHER OF OUR TIME. The Mezzanotte restaurant is the only traditional italian restaurant with panoramic views of the City of Caracas. CJâ€™s Burgers, Subs and Shakes is a turn key 60 seat fast food restaurant in the heart of fabulous Myrtle Beach, SC. Owners are retiring due to health issues. Full staff in place ready to work hard. This restaurant was renovated in fall of 1999 and is clean and shiny. Local residents visit the drive up window or dine in for fabulous food at economy prices. LOCATION-LOCATION-LOCATION---remember this? The 3 most important things to any successful business!!! Well this restaurant definitely has LOCATION. (Great Package Deal Includes Home and Business - or purchase separately. Sole reason for sale - elderly couple experiencing health problems must retire after recent complete renovations. Total sq. footage (under roof) 2690 sq. ft.
La Margarita, is the one for you! Seating for 170 under the roof, unlimited on the sand, 15 feet from the Caribbean Sea and always a beautiful breeze. Large area for special events also. Walls and business for sale. Set in 4448.90 sq. m. of land, big parking lot, 85 seats in the front section (dining room) and 80 seats in the rear section with bar, reception hall and dance floor. 50 seats outdoor covered terrace. Equipped kitchen according to standards, in perfect condition. Upstairs: staff apartment, warehouse. Good turnover.